Creative Assembly are a busy bunch, we know that much for sure. If they’re not developing the upcoming Total War: Three Kingdoms (of which I’ve covered with both a preview and interview), they’re expanding on previous entries. 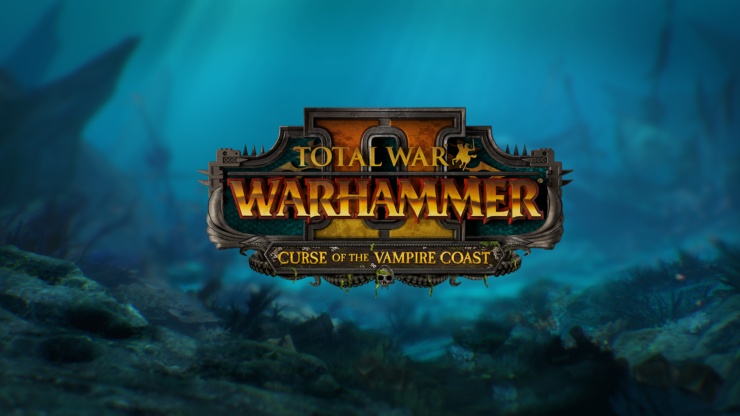 In this case, it’s the exceptional Total War: Warhammer 2 (read my review here) with the Curse of the Vampire Coast campaign pack. Okay, so I may be reaching when I say it meets Pirates of the Caribbean, I have yet to see a Kraken, nor is there any sign of the Black Pearl or Capt. Jack Sparrow. It does, however, contain undead pirates and giant sea creatures. Ones that you can use to demolish your enemies both on the high seas and on land too. Sadly, this doesn’t mean that the game now has naval combat, which has already been explained as too large of an entry to place in a single campaign pack. The way this has been worked around is the ability to fight battles on specialised island maps, each with their own features, rather than auto-resolving any battles from naval encounters. Playable in both the Eye of the Vortex and Mortal Empire campaigns, the Curse of the Vampire Coast introduces four Legendary Pirate Lords to Total War: WARHAMMER II, each hell-bent on becoming the very paragon of infamy! With hordes of musket-wielding zombie deckhands, horrific maritime monsters and ghoulish revenants, a new Lore of Magic, pirate-style campaign mechanics and unique new methods of customization, players have an armoury of new tools to command. All within a heavily themed campaign experience culminating in a spectacular endgame battle. The erratic power of the Great Vortex has awoken Amanar, a vast and ancient Merwyrm. It terrorises the Vampire Coast, attacking ports on a whim and summoning colossal sea-storms in its wake. Each of the Legendary Lords seeks not to harness the power of the Vortex, but to locate and empower the fabled Star-Metal Harpoon – the only weapon capable of bending the beast to their will, and securing their reputation as the most infamous pirate lord on the high seas! As with other game-changing expansions, Creative Assembly has brought a lot of content to Total War: Warhammer 2 for players who won’t be purchasing the campaign pack. Naturally, you will meet these new pirate captains in the game as AI led factions, with all of the new units and creatures they bring with them. In addition to this, Creative Assembly will also be releasing a ‘major update to the Vampire Counts factions in Mortal Empires, empowering them with new mechanics and revised skills and abilities’. Further to this, there will also be a new Legendary Lord for use in Eye of the Vortex and Mortal Empires. More news soon. Total War: Warhammer 2 – Curse of the Vampire Coast rolls out on the 8th of November and is now available to pre-order on Steam with a 10% discount, provided you pre-order it before release.